Marbelize has entered an exclusive partnership with Frequentz to proactively address the coming IUU Task Force seafood traceability action plan. 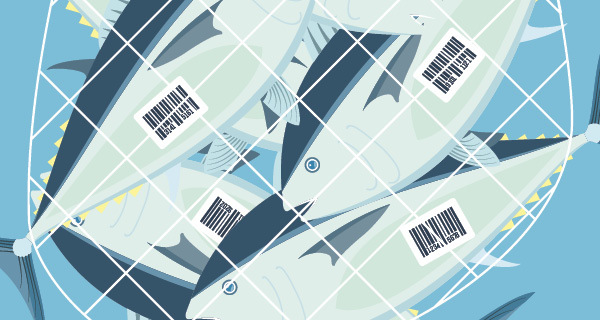 Buried within the controversial Trans-Pacific Partnership (TPP) are provisions that will help protect global fisheries—and consumers—from widespread fraud in the seafood supply chain. It's a pet project of the Obama Administration, which specifically created the Presidential Task Force on Illegal, Unreported, and Unregulated (IUU) Fishing and Seafood Fraud in June 2014 to expand partnerships around the world that would strengthen enforcement against nefarious activities. There's also a supply chain impact as it relates to information and traceability requirements. That's why Ecuadorean tuna supplier Marbelize recently entered an exclusive partnership with U.S. tracking firm Frequentz to proactively address looming traceability requirements. Examples of the types of information that may be collected include who harvested the fish, type of species, and location of harvesting. As one of the largest tuna suppliers in the world, Marbelize will use track-and-trace technology to develop a fully integrated supply chain visibility solution from sea shelf to store shelf.